James Gilliland and Peter Maxwell Slattery lead a round table discussion with UFO Photographers and Experiencers Damien John Nott, Melissa Kennedy and Solreta Antaria. The discussion includes the progress being made with UFO coverage by the main street media in Australia. 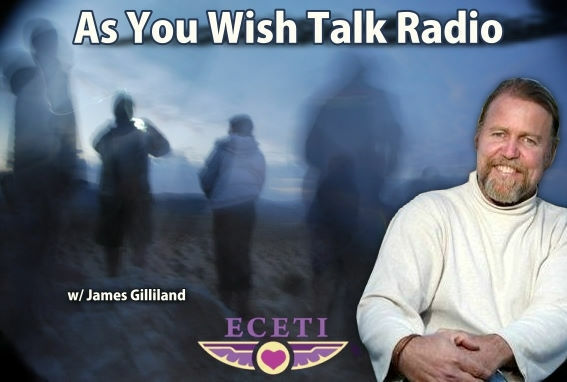 As You Wish Talk Radio with James Gilliland - James gives an update on what's happening in the world and takes your questions. I am reaching out to listeners to support our GoFundMe campaign to help with repairs at ECETI from two winter storms. James Gilliland continues his interviews from Australia with special co-host Peter Maxwell Slattery. 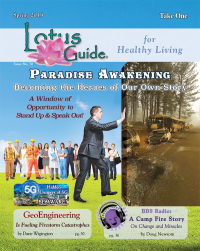 In this episode they interview Seth Levine - a UFO experiencer and contactee. Seth has had many interactions with otherworldly beings including Arcturians, Pleiadians, Orions, Andromedans and Syrians. James Gilliland of http://eceti.org/ECETI continues his interview series during his Australian tour with his host Peter Maxwell Slattery of ECETI Australia. Together they sit down amongst the sounds of nature in the Outback with Aboriginal Wisdom Keeper Uluki Brendan Murray, King of the Waa Wurrung (Raven Tribe), Upper yarra valley. James sits down for a chat with co-founders of ECETI Australia and mutliple ET Experiencers Peter Maxwell Slattery and Solreta Antaria. This interview was recorded during James's winter 2015 lecture tour in Australia coordinated by Pete and Solreta. The conversation covers what's happening in the world of UFOs and Contact in Australia as well as many other Spiritual topics.